Leonor is a co-founder of Madrid Montessori with Marikay McCabe. She has been involved with short- and long-term strategic planning since the school’s inception. She is currently the owner and Director of the school. Leonor was a Guide in the Children’s House classroom for six years before moving to an administrative role in 2016 . She earned her undergraduate degree in Biological Sciences from the University of Sussex and completed her Children’s House training in Paris at the Institut Supérieur Maria Montessori under the direction of Patricia Spinelli, in 2010. She also completed the AMI Inclusive Education Certificate from the Montessori Institute of San Diego in 2015. Ainhoa holds undergraduate degrees in Information Science and in Social Studies from the Universidad Complutense de Madrid. After a long and varied career in administration across several countries, with the birth of her first child she decided to become a Montessorian. 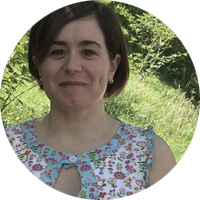 She followed her Children's House training in Ireland in 2008 under the direction of Nikki Hughes, and subsequently worked as classroom guide in schools in Madrid, Girona and Brussels. 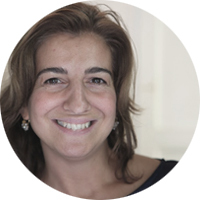 She is now involved in the administration of Madrid Montessori in her role as School Life Coordinator. Paola received her undergraduate degree in Economics and Business from the University of Oviedo. She worked in finances for many years before turning to education. She completed her AMI Children’s House training under Guadalupe Borbolla and the Assistant to Infancy training under Silvia Dubovoy. After two years working in the Infant Community, she shifted to a full time administrative position as our Financial Director. 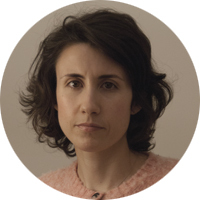 Tatiana has her undergraduate degree in Biological Sciences from Universidad Complutense de Madrid and a doctorate in molecular biology from Universidad Autónoma de Madrid. Tatiana did her Assistants to Infancy training at the Montessori Institute of San Diego in California under the direction of Silvia Dubovoy. Bianca received her undergraduate degree in International Tourism from Lincoln University in the UK. 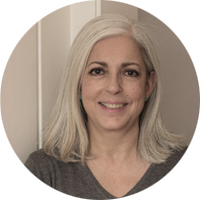 She then worked in Madrid for five years as a teacher of three and four year olds in a British school, before deciding to devote herself to Montessori education. She was an assistant in a Children’s House classroom for three years before completing her AMI Assistants to Infancy course in Vancouver Canada. After receiving her undergraduate degree in design, Livia completed her Children’s House training at the Maria Montessori Institute in London under Lynne Lawrence and she also did a post diploma in Observation while in London. She joined Madrid Montessori in 2010. Florencia received her Children’s House qualification from the Montessori Training Center of New England under the guidance of Gretchen Hall. She completed the AMI Inclusive Education Certificate from the Montessori Institute of San Diego in 2015. Previously she completed an undergraduate degree in Pedagogical Studies at the Universidad Nacional Autónoma de México and received a Certificate in Early Childhood Education from UCLA. 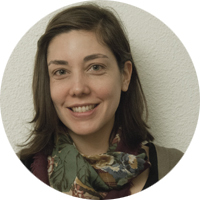 After receiving her professional degree in Architecture from the University of Notre Dame, Kathryn worked as an intern architect in the U.S.A. for two years before working as an English Language Assistant in a Madrid elementary school. While there she simultaneously earmend her Permaculture Design Certificate and completed her Master in Teaching at the University of Alcalá. 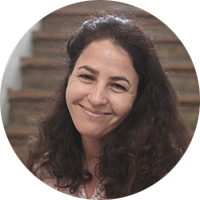 Her classroom experience and studies led her to Montessori and to the completion of her AMI Children's House Assistants training in Prague under Elena Rautasalo in 2017. 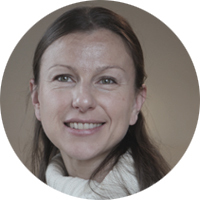 Joanna grew up in the south of England and received her undergraduate degree in French and Spanish from the University of Exeter. She moved to Madrid in 2013 and has since been teaching English to children of all ages. She is currently training for her Children’s House diploma. Christiana has an undergraduate degree in Graphic Design from Moore College of Art in Philadelphia. 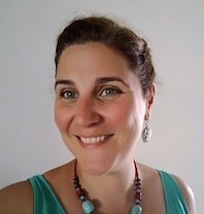 She received her Children’s House training and a Master’s degree in Education from Loyola University in Maryland, in the US in 2010, and received her diploma from the Montessori Elementary training program in Bergamo, Italy in 2015. Her mother, Cecilia, is also a Bergamo-trained Montessori Elementary Guide and Christiana went to Montessori school from toddler community through lower elementary. She has taught in the Children’s House and in the Lower Elementary classroom at Madrid Montessori. Raji discovered Montessori first as a parent of a two-and-a-half year-old son in 2002. She completed the AMI training for primary level and worked for three years in Chennai, India. As her son moved to the elementary age, she too trained in the AMI elementary level and worked in the US for the next five years in the elementary classroom. 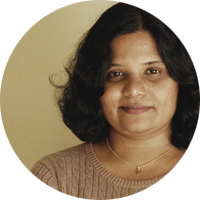 After also spending some time working in a Montessori school in the Netherlands, Raji has accumulated more than ten years of experience teaching primary as well as elementary across three continents, both in English as well as bilingual environments (Tamil, Spanish and Dutch). 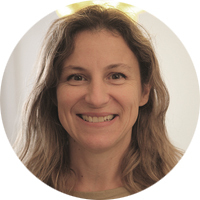 After receiving her undergraduate degree in Biology in Colorado, USA, Joanna completed her Children’s House training in California and subsequently, her Elementary training in Bergamo, Italy. 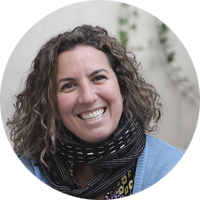 She has been at Madrid Montessori since 2010, first as Educational Coordinator and currently as the Dehesa’s Lead Elementary Guide. Prior to being at our school, Joanna worked as a Children’s House Guide for seven years at a Montessori school in San Francisco. Having obtained her Bachelor of Arts in Philosophy and after earning her Teacher’s degree in Elementary Education, Miren has worked as an Elementary Teacher since 2006. 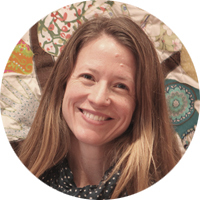 Her interest in Montessori Education was sparked in 2014 and she worked as an Assistant in AMI Montessori Schools in the U.K. for two years before joining our school. She will complete the training to become a Montessori Elementary Guide at the MIRTC in Girona in the Summer of 2018. Natalia obtained her Undergraduate Degree as an Elementary Teacher in 2010. 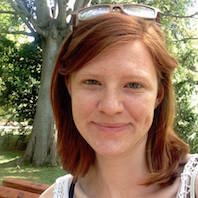 After working in several schools she decided to specialize in Emotional Education. In 2016 she finished her Master's Degree on classroom applied Multiple Intelligences and Innovative Didactics, under Mar Romera. Natalia finished her AMI 6-12 Assistant course in 2018. 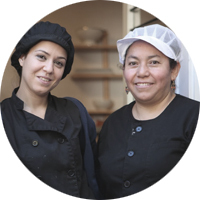 Cilda is our Cook and María is our Kitchen Assistant. 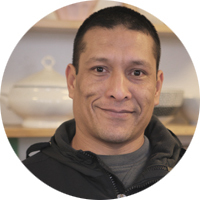 Richard is instrumental in keeping our spaces functioning and clean and bright.